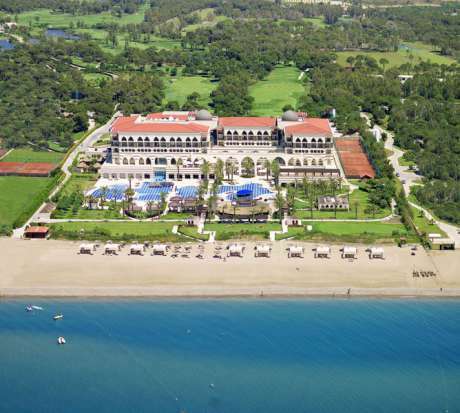 Right on Belek's beach front, the award-winning Kempinski The Dome features Seljuk-style design with elaborate decorations and mosaics. It offers indoor and outdoor pools and a traditional Ottoman hammam. The spacious rooms and suites at Kempinski Hotel come with free Wi-Fi or LAN and a flat-screen TV. Each has a marble bathroom with bathtub and shower. The spa features heated indoor pools, a sauna and gym. Guests can try Ayurvedic treatments and alternative massages for ultimate relaxation. 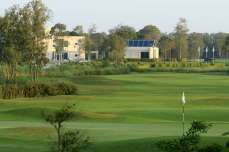 Sporty guests can enjoy the golf courses and tennis courts. Dining options range from Turkish specialties to international cuisine. 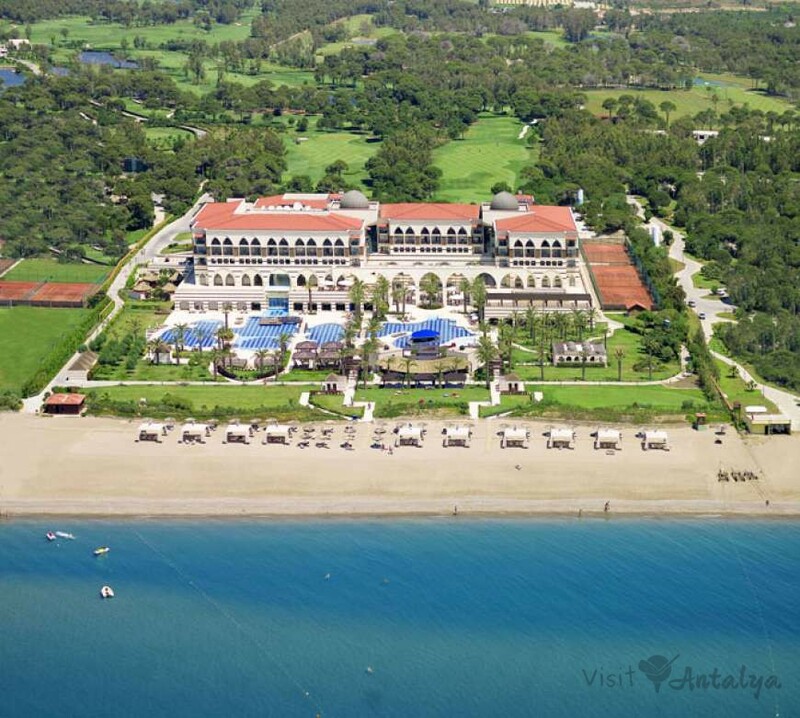 The restaurants and bars have terraces with stunning views of the Mediterranean Sea and the Taurus Mountains. At an inviting 5731 meters par 72, you may think that The Pasha would be a walk in the woods but don’t be fooled by the scenery. Transfer from Airport to hotel and return is included.